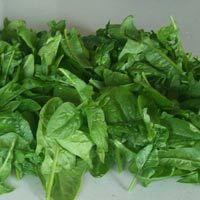 Spinach is a hardy vegetable that grow best in cool weather. Spinach does not transplant well. Plant spinach directly in the garden 5 weeks before the frost date. Plant seeds directly in the garden 9 weeks before the frost date. The plants will mature more slowly in the fall because the days are shorter. If you provide some protection, you can continue harvesting after the first fall frost. If you live in a mild climate with no fall frost date, you can plant spinach from seed and grow it all during the winter. Spinach grows best in a rich soil; amend with lots of compost and fertilizer (chemical or organic) at planting and once during the season. Fertilizer: 16-16-8 at planting, 21-0-0 four weeks later. Harvest from the outside in, letting smaller leaves continue to grow. Harvesting stimulates growth, so pick some every other day. Where I live it gets too hot to plant spinach–it bolts right away. In areas with a cooler, longer spring that would be fine. Mel’s book says you can stagger the harvest by planting again 3 weeks and one week out, then 9 and 7 weeks before the first frost. Have you had luck with that? The fertilizer lingo 10-10-10 refers to the ratio of plant nutrients, nitrogen: phosphorus:potassium. Also abbreviated as N:P:K. These numbers are listed on the label of fertilizer bags available for purchase. 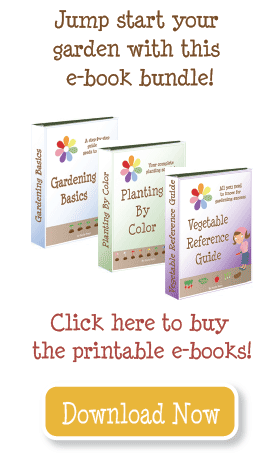 These ratios vary according to type of gardening one is doing. For example, fertilizing a grass lawn would require different ratios from fertilizing house plants. I don’t get the whole fertilizer lingo. Fertilizer: 10-10-10 at planting, 21-0-0 four weeks later. Can you help me understand.